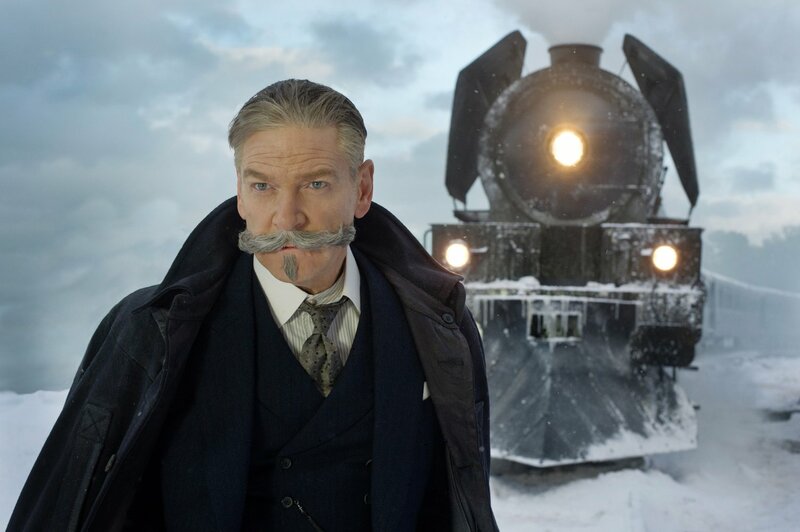 A witty, well-paced classic crowned by a very punchy ending, 'Murder on the Orient Express' goes beyond stereotypes. As the world’s most prolific writer of crime fiction and best-selling novelist of all time, Agatha Christie’s name doesn’t need any explanation. With Kenneth Branagh’s upcoming adaptation of her famous Murder of the Orient Express coming on November 3rd, I can’t miss this opportunity to read my first novel by the legendary author. However, I was concerned that modern crime fiction might sour my experience with Christie’s work, the shockingly unpredictable Sherlock might make this classic seem quaint. I was quite wrong. Christie’s writing is a huge part of what inspired the creators of our favourite contemporary crime fiction. With Hercule Poirot as its lead, the novel somehow manages to tell a twisted crime story in a systematic and crystal-clear manner, answering all the possible questions whilst remaining exciting throughout. While the plot itself is dramatic, not entirely believable, and sometimes a bit too self-explanatory for my contemporary taste, the writing is the exact opposite. Organised by facts and the evidence of each of the characters, the novel manages to remain thrilling despite the fact that Poirot spends half the novel interviewing people one by one. The 14 passengers are initially stereotyped by their appearance, age, nationality, and social status. However, as the story progresses and apparently contradictory evidence surfaces from the conducted interviews, they defy all the expectations built by the speculation of the Poirot squad and deliver a jaw-dropping ending. Solving this case wasn’t a piece of cake to Poirot, but his almost surreal deduction capacity helped him succeed and the outcome is as satisfying as they come. Hercule Poirot himself is a bit surprising as well. He is incredibly sharp-witted, but he’s cold and keeps the case at an arm’s length – honestly, only a robot would keep this cool. Poirot is probably the epitome of the crime solver: a master of self-control, logic, people analysis, and, surprisingly, sass. Obviously not everyone could keep up with his thought flow: Dr. Constantine and Mr. Bouc are the main examples of this. Poirot rebukes them for their constant questions and uninformed attempts at solving the murder. Murder on the Orient Express is an absolute classic. It has inspired so many other crime novels/films/TV shows that sometimes it just feels like you might have read it somewhere else. But you haven’t. This right here is the real deal.